The concert presents new works by Grigory Smirnov featuring stellar New York performers of the new generation. 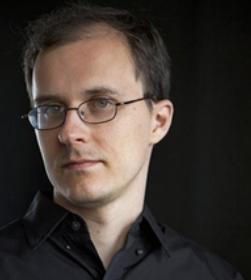 A native of Siberia, Russia, Grigory Smirnov is a New York-based composer of classical music. A graduate of The Juilliard School, he has been enjoying a fast-growing international career. His music has been performed around the globe, including at Lincoln Center, Tanglewood, Moscow Philharmonic Society and The Copenhagen Opera House. Among his recent commissions is a song cycle “Dowson Songs” commissioned by The ASCAP Foundation Charles Kingsford Fund, which will be given its world premiere in this concert. *Tickets only available at box office; office@kaufmanmusiccenter.org or by phone 212 501 3330. Students must show ID.